Wheat/corn texturate Protex-A is made from wheat or corn of a special type varieties by means of extrusion method using the exclusive technology of Partner-M, thanks to which all the useful properties of the raw material are better absorbed. Protex-A 10/3 B (breading) — fine breading with particle size of 1-3 mm. It is used as a full replacement of breading or as a component of breading mixtures. Various coloring and flavoring options are available during the production process. 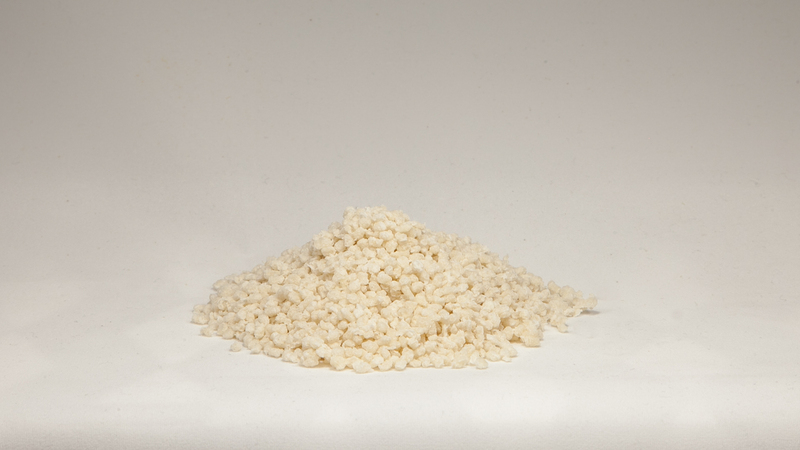 Protex-A 10/4 TR1, 10/4 TP2 — textured granules with particle size of 3-5 mm. It is used in recipes of meat and fish semi-finished products or other culinary products with preliminary hydration 1:3-4, as a classical texturate — an independent component of the formulation or as a partial/complete replacement of soy texturate. • it is possible to use barley or rye as a raw material instead of wheat/corn.